Explore our leading-brand selection of top-quality accessories suitable for the entire family. Among our leading name-brand selection, includes Adidas, Nike, Fossil, JanSport, and much more. 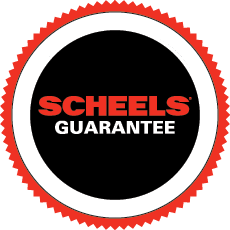 Each of these brands is carefully selected by our SCHEELS experts, so you can shop with confidence knowing you're purchasing high-quality products. Our selection of high-quality accessories includes everything you need, including backpacks, to jewelry, to scarves, to sunglasses, to wallets and much more. Whether you need a baseball cap for your next sporting event, a scarf to complement your outfit, or a versatile bag to tote all of your things, SCHEELS has you covered. We offer a wide selection of accessories in a variety of styles, so you can guarantee that the entire family will find an accessory that fits their aesthetic. Search our selection of accessories with our filter options to narrow down your search, then pick up in store at your nearest SCHEELS location.